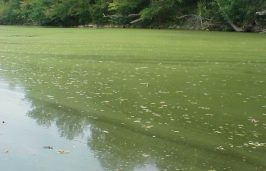 Not all algal blooms are considered harmful, but the right mix of warmth and nutrients can yield a funky blue-green slime that is potentially toxic to humans, their pets and marine life. 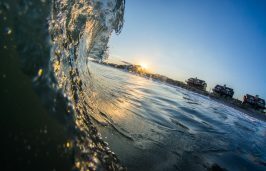 A team of coastal scientists and a computer engineer have combined their passion for surfing with decades of research to offer an online tool that promises more accurate forecasting of wave conditions along the N.C. coast. 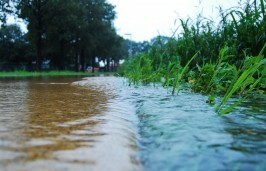 Researchers with the UNC-Institute of Marine Sciences are working with Beaufort to help the town better protect coastal waters from stormwater pollution. 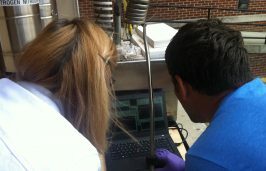 Researchers at UNC Wilmington are trying to understand how to rid the oceans of plastics that break down into pieces so small that even the human eye can’t see them. 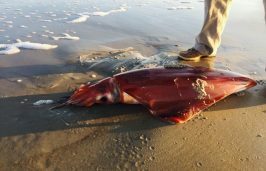 A mysterious squid found in late March on a Portsmouth Island beach was later discovered to be a species that’s commercially fished in Japan. 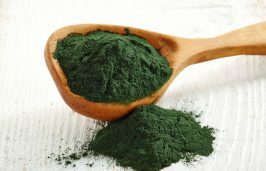 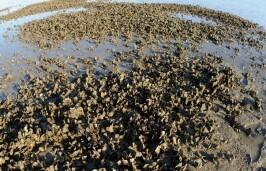 Duke Marine Lab researchers with the Marine AlGae Industrialization Consortium are developing ways to create both liquid fuel and livestock feed from naturally oily, nutrient-rich algae. 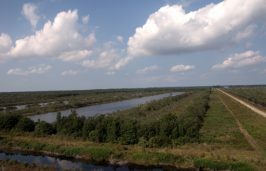 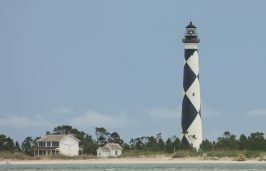 Historic structures that are part of the Cape Lookout National Seashore are being used to test a developing strategy for dealing with the vulnerability of cultural resources to climate change. 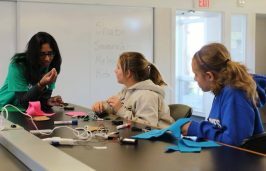 Women in science will be on hand as role models for an event designed to spark middle school-aged girls‘ interest in technical fields set for April 1 at Duke University Marine Lab in Beaufort. 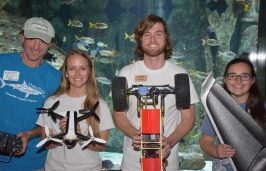 The fifth annual SciREN Coast event brought together more than 130 scientists and educators to find creative ways to teach scientific concepts. 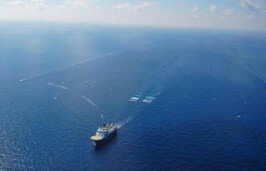 Researchers in North Carolina recently published a study that shows fish “went missing” from a normally populated reef during seismic blasting for geological mapping. 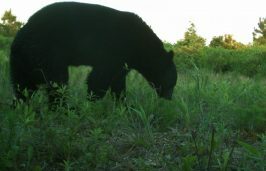 Candid Critters, a photography experiment launched on the coast last year to gauge the diversity and range of wildlife for conservation and management, is going statewide. 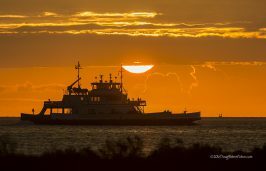 Hans Paerl of UNC Institute of Marine Sciences, one of the founders of the recently suspended state ferry-based water quality monitoring program, says the work of the project is too important to abandon.